It’s official: Rachel Allen likes my brownies. Yes, that’s celebrity chef, expert baker and tutor at the world-famous Ballymaloe Cookery School, Rachel Allen. Squeeee!! 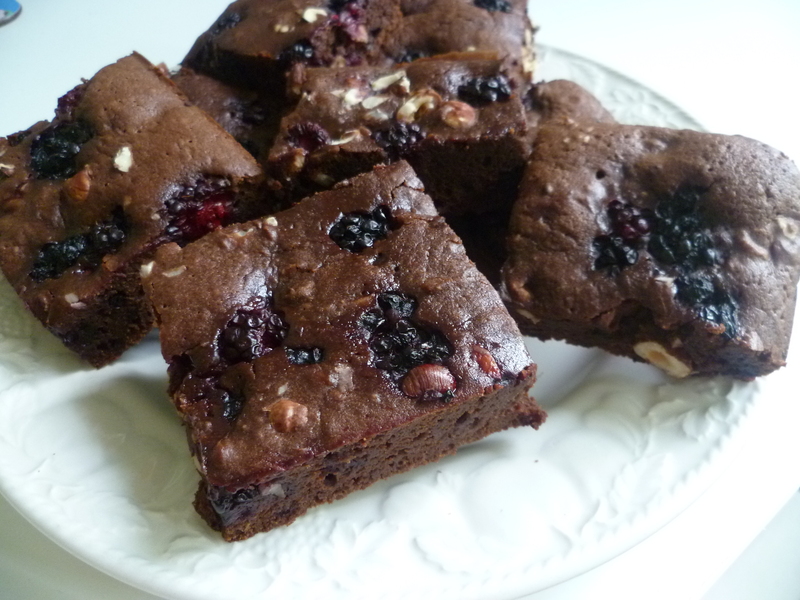 My Blackberry and Hazelnut Brownie recipe is one of 20 recipes chosen by Rachel and a team of judges over at Kerrygold to be featured in the Kerrygold Community Cookbook – writen by the people, for the people. I am absolutely thrilled it was chosen; it’s one of my favourite recipes I’ve posted on my blog since I started a couple of months ago, and continues to be one of the most popular. If you’re looking for creative ways to use up those rich, sumptuous brambles, then ditch the crumble, grab some decadently dark chocolate and give them a go – I guarantee you won’t regret it! There are some really lovely recipes in there, from Cardamom Lavender Tarts with Caramelised Oranges, to Honey Teriaki Chicken, so don’t forget to bookmark it for some kitchen inspiration from fabulous home cooks from across the UK! To top it off, my entry was also selected at random to win a posh microwave, a month’s supply of Kerrygold butter and Rachel’s gorgeous cookbook, Entertaining at Home, which I’ve been ooohing and aahing over already. The finished recip-e-book will be available to download for free from the Kerrygold Facebook page from the end of October. I’m SO excited to receive my very own printed copy. Just one problem….how do you frame a cookbook?! Congrats! Here’s to many more published recipes in the future! Awesome! Wow! Congrats! Your recipe was totally original and it’s getting all the recognition it deserves! This is a sign, Laura — you should throw your BA to the wind and go to pastry school, too! Oh Christine, if only! I’m am about to start pushing myself to do more original recipes and more technically difficult bakes though – if you’re gunna do something, do it properly!